Working with a small(ish) camcorder like the Panasonic EVA1 can be very useful. However, these cameras are powered by small batteries that usually don’t provide juice for external devices such as monitors. 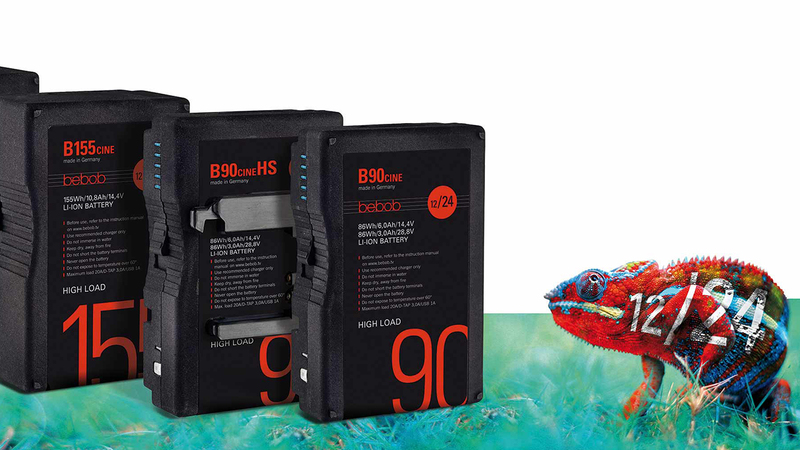 Meet the Nano-VBR98 by Core SWX, a battery that does just that. Credit: the arrow is designed by Freepik. 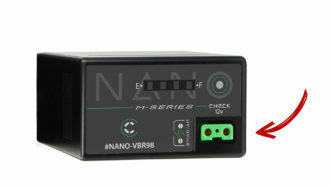 The Nano-VBR98 battery has a standard D-Tap socket, which may seem like a simple idea, but it has a tremendous effect because no additional external power source needs to be attached to the camera. 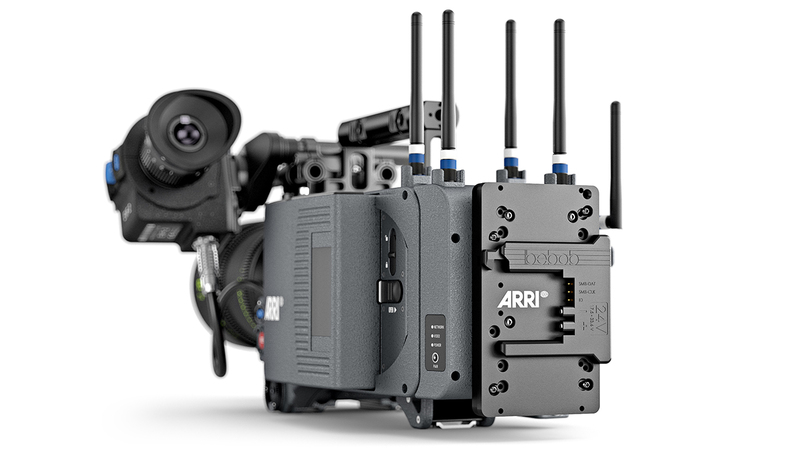 The rig remains small and compact, while still being capable of powering an external viewfinder or monitor. Neat! (BTW, SWIT has a similar solution for powering some of the Sony’s popular Camcorders.). Core SWX Nano-VBR98 Battery The Nano-VBR98 battery comes in a familiar shape that will fit a number of Panasonic cameras, such as the popular EVA1. The twist, however, is the aforementioned additional D-Tap socket, which adds the kind of functionality found on larger V-mount or Anton Bauer batteries. The Nano-VBR98 has plenty of capacity. With 98Wh (7.4v, 12300mah), this battery should keep your Panasonic EVA1 going for up to 5 hours. When powering an external monitor, this number will decrease, obviously. The D-Tap socket delivers standard 12V so all your accessories should work just fine with it. Specifications The Core SWX model has some major advantages over the stock Panasonic battery: it offers more capacity, it’s cheaper and features that handy D-Tap socket! 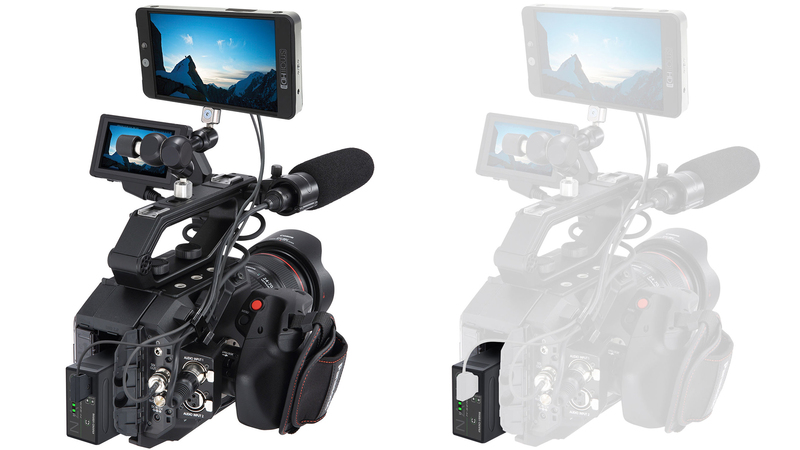 Here is a full rundown of the Nano-VBR98 specs: 98Wh, 12300mAh Battery Pack For EVA1 & Select Panasonic Cameras 12V 2A SMBUS D-Tap Powers Accessories 4-LED Power Gauge 5-Hour Average EVA1 Runtime The Nano-VBR98 is available now and it’s well worth a closer look if you’re a proud Panasonc EVA1 owner. 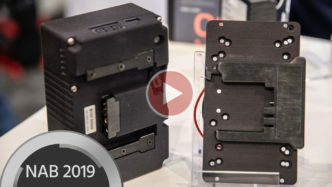 Hopefully, Core SWX will expand their line of D-Tap-enabled batteries even further. I’d love to see a Canon C300 Mk II compatible battery soon! Links: Core SWX website What do you think? Will this product render your V-mount plate obsolete or do you need more power than this? Share your thoughts int he comments below!